The Bronx has been part of New York City since 1874. With slightly fewer residents than Manhattan, it is almost twice the size: 109 square kilometres. Situated in the north of the city, separated from Manhattan by the Harlem River. The Borough is named after Swedish-born Dutchman Jonas Bronck, who led the first settlement in 1639 as part of the New Netherland colony. In the ’70s the Bronx was almost uninhabitable. High unemployment and poverty gave rise to a lot of crime and drug use. The Bronx has a couple of iconic neighbourhoods. Here you’ll find the real Little Italy, no tourists but just a real authentic Italian atmosphere. 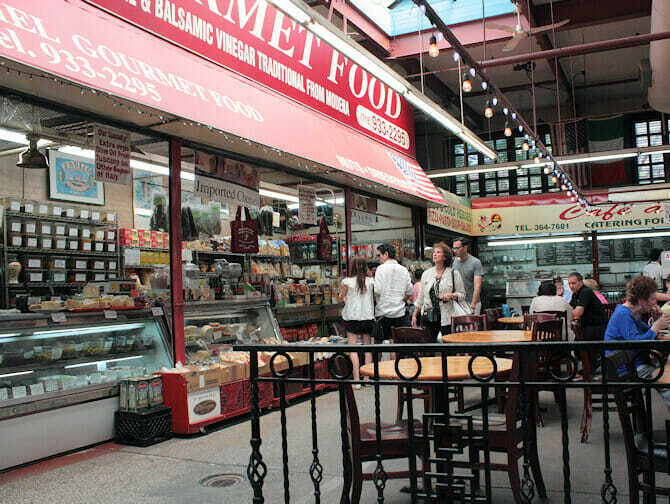 You can visit many small Italian shops that have great coffee and good food. The Grand Concourse has a couple of beautiful Art Deco style buildings. The buildings have beautiful decorations inside and out. There is one infamous neighbourhood that gave the borough its bad reputation: Camp Apache. In the ’70s this was a crime-ridden neighbourhood. Murder, drug abuse and arson were commonplace. This neighbourhood was seen as one of the most dangerous in the world. A lot has changed since then, so it’s pretty safe to visit the Bronx to see what has become of the area of late. 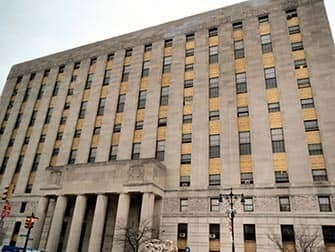 If you would rather explore The Bronx on a guided tour, you can take a bus tour that combines different boroughs such as the Brooklyn, The Queens and The Bronx tour. 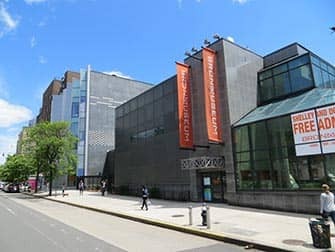 This five hour bus tour allows you to explore the city and see the contrasts between these different boroughs. 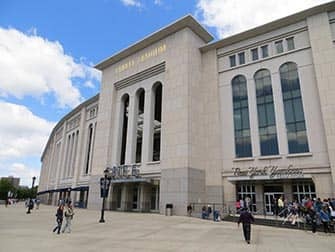 The current Yankee Stadium is a renovation of the original Yankee Stadium that was built in 1932 and closed its doors in 2008. 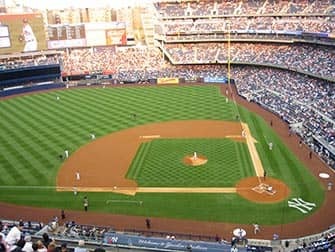 In 2009 the New Yankee Stadium opened and is the home to the New York Yankees. 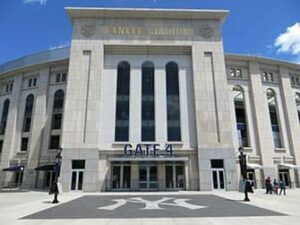 The stadium is located in South Bronx. The construction costs of the new stadium were $1.65 billion and the stadium is big enough to seat almost 50.000 people. The New York Botanical Garden consists of 50 different gardens, which makes it one of the largest Botanical Gardens in the country. 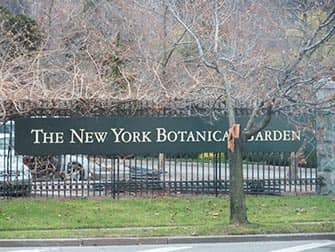 You’ll find here among others the original trees and plants from the founding of New York, which are over two centuries old! Buy an All-Garden Pass to get access to all gardens and explore them by foot or with the included tram tour. With more than 50 stores, Bay Plaza is the biggest shopping center in New York. The newly renovated mall has three stories and a great variety of stores. For example, there is a Macy’s, Forever 21 and Victoria’s Secret. Next to shopping there are also a lot of great places to eat and there is an AMC movie theatre to rest your feet after a long day of shopping. There is enough to see and do for everyone! If you’ve made it to The Bronx you might want to visit the famous The Bronx Zoo. Though it’s quite far from Manhattan, it’s definitely worth a visit. The Bronx is very multicultural. This means that there is a lot of different types of food in the Bronx. Louie & Ernie’s Pizza is one of the best restaurants in the Bronx. This is where you can get the ‘real’ New York pizza. People who have tasted their pizzas, may feel like it’s the best pizza ever. If you like Mexican food, you’ll love Mexicozina Taqueria. Just like most restaurants in the Bronx, this one is nearly invisible and yet it’s still a hidden gem when it comes to Mexican food. Be sure to stop by if you want a great meal. And if you want something else than dinner, De Lillo Pastry Shop is also a great place in the Bronx to just sit down and have a coffee and slice of cake. The pastries at De Lillo Pastry Shop are so good that you’ll want to take some home with you.